Energy requirements vary considerably between individual dogs and cats, even between animals kept under the same conditions. This wide variation between individual animals can be the consequence of differences in age, breed, body condition, etc. It can also be caused by environmental factors such as temperature. every equation only predicts a theoretical average for a specific group of animals. Digestible energy and metabolisable energy are a more accurate way of expressing the energy density of a food. Metabolisable energy reflects better the energy that is utilised by the animal, but is more difficult to determine. 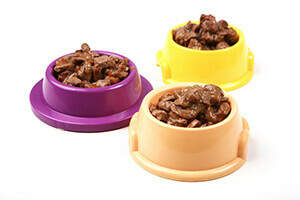 The metabolisable energy (ME) of a pet food is measured most accurately by performing digestibility trials. Since animal studies are labour intensive, predictive equations are used extensively for calculating metabolisable energy (ME) concentrations of dog and cat foods. Several of these predictive equations have been developed during the years, and their accuracy and precision have been compared to those of equations developed from animal feeding studies. Within the Petfood industry the most commonly used predictive equations for prepared pet foods are the “modified Atwater” equation and the equations cited by the National Research Council (NRC, 2006), also known as the 4-steps method. The European Standard for the equations of energy density (ME) in cat and dog food was published by the European Committee for Standardisation (CEN) in July 2017. The project was led by the FEDIAF Nutrition & Analytical Science Group in collaboration with the Technical Committee CEN/TC 327 “Animal feeding stuffs - Methods of sampling and analysis”. This national standard will mandate the equations to be used by pet food manufacturers and control authorities for the calculation (and subsequently declaration) of metabolisable energy in pet food. The standard has to be adopted by all EU member states and several other European countries as their national standard, and conflicting national standards shall be withdrawn by January 2018.